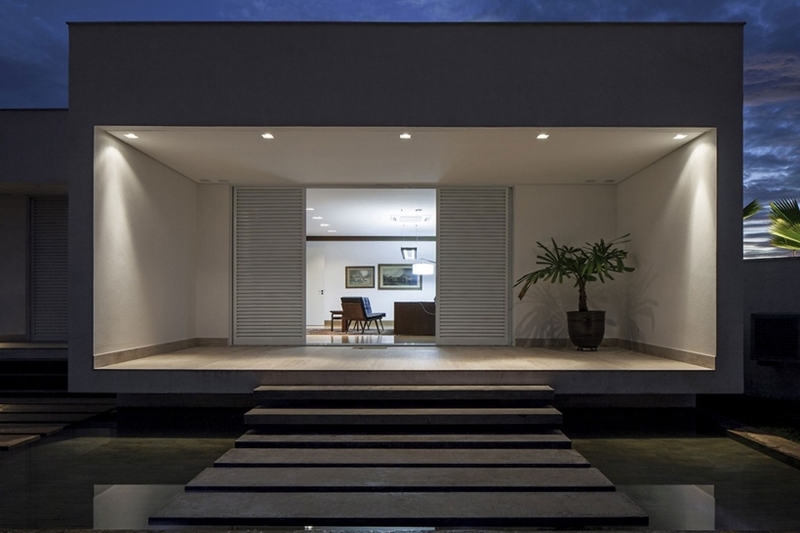 Casa TB is quite simple modern house designed by Aguirre Arquitetura in Uberlândia, Brazil. 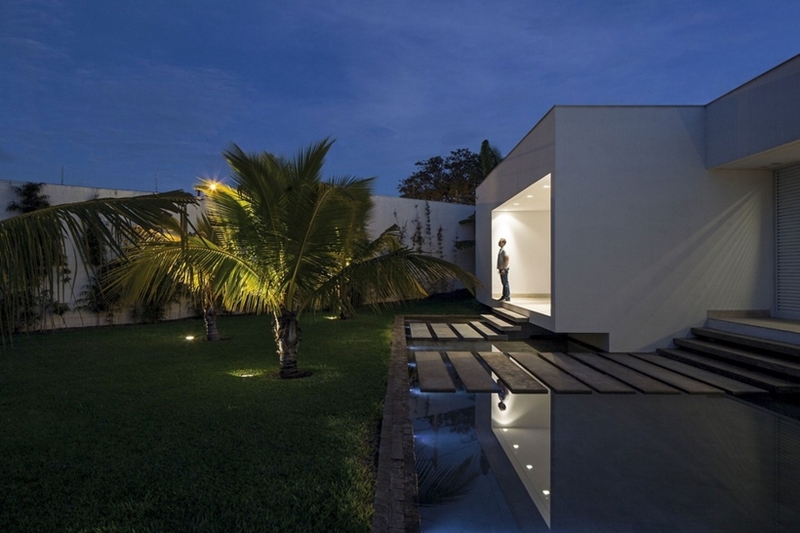 Minimalism and simplicity are the main reasons why this house offers functionality on such a high level. 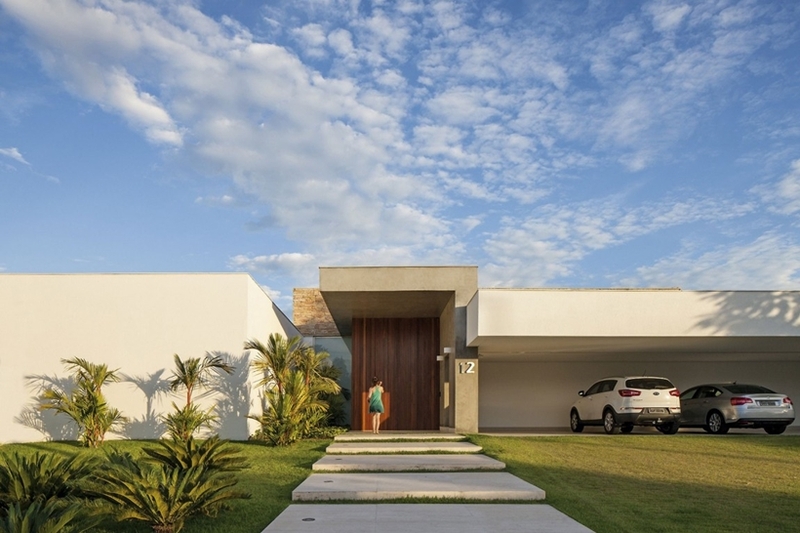 Simplicity of this modern house is visible already at the entrance. Large and low stone stairs are leading visitor towards the wooden doors. Covered garage is located on the right side while short palm trees and lawn are fulfilling empty white house wall. 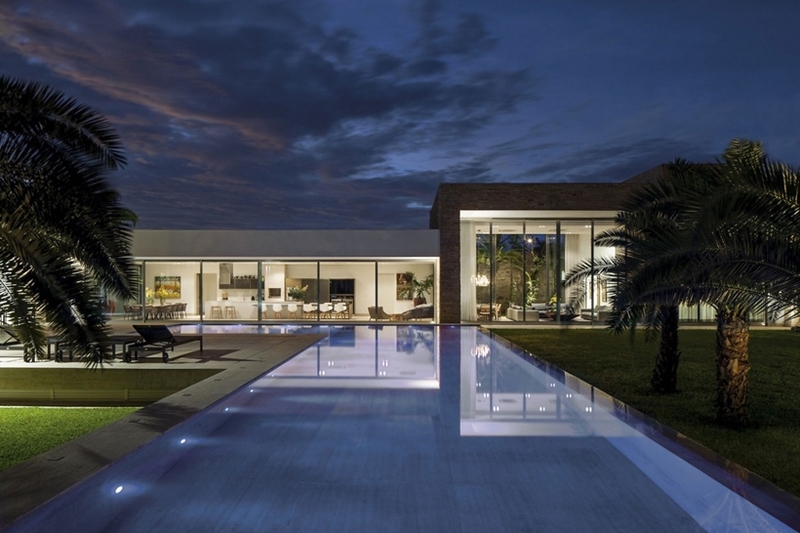 Backyard side offers minimalist glass facade, simple L-shaped swimming pool surrounded with green lawns and palm trees. 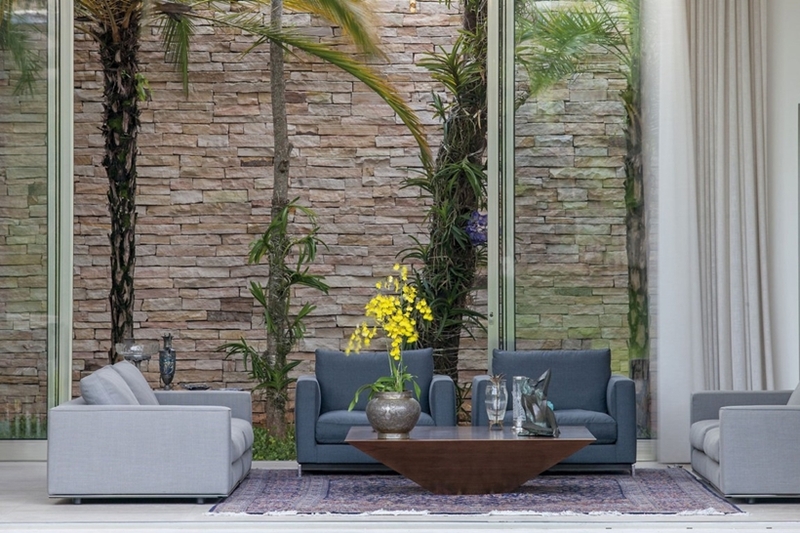 Gorgeous outdoor living space, just like in this modern mansion. 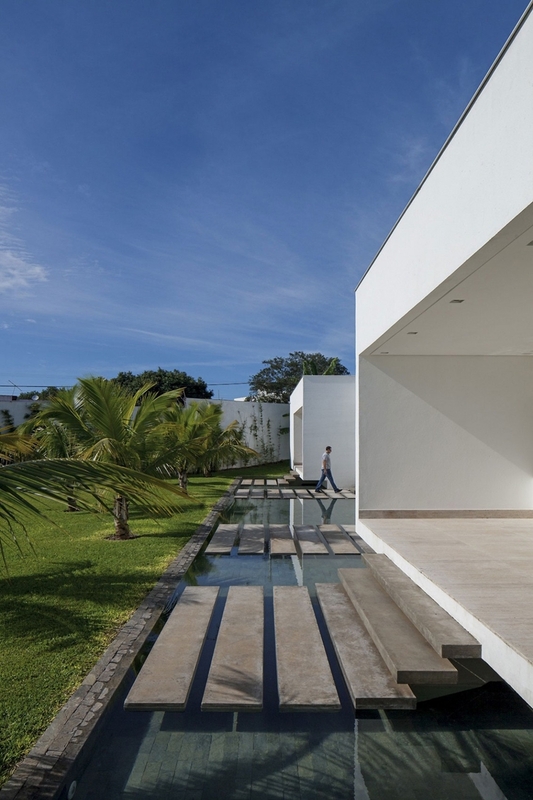 Side facade offers another interesting design feature - shallow modern pond with stone stairs leading to the house. Something like modern castle barrier. 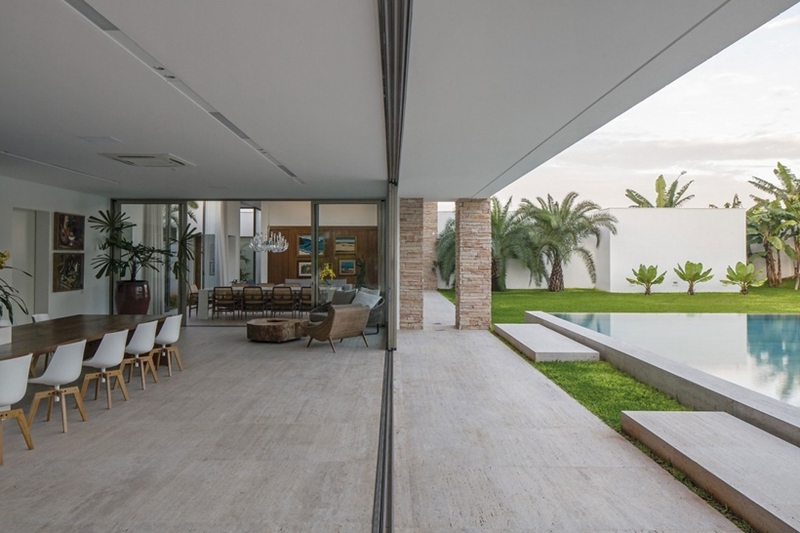 Since the overall architectural atmosphere of this simple modern house is minimalist, architects designed interiors the same way. 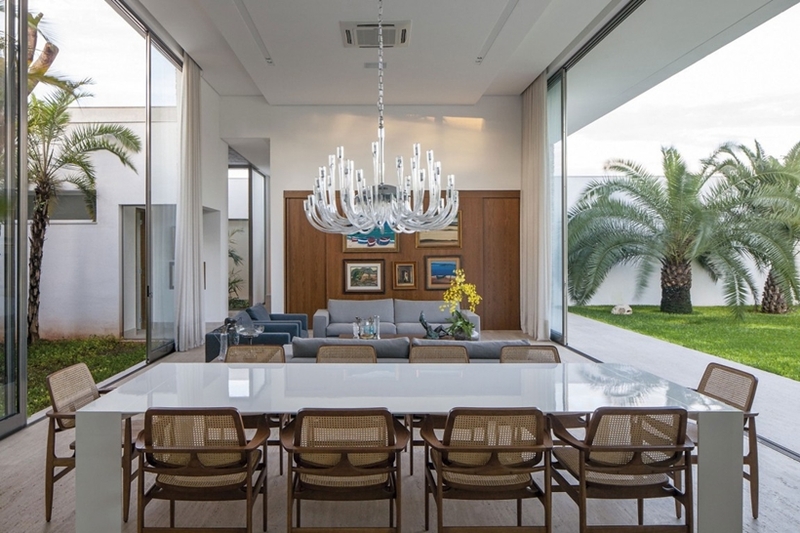 Open floor plan layout offers indoor glass walls which are separating rooms physically but connecting them visually. 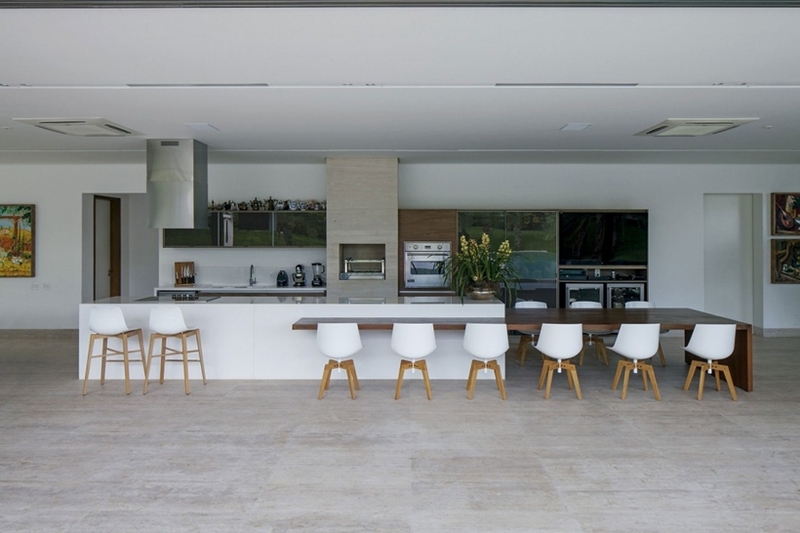 Furniture is kept in bright and contemporary tone with a few cool ideas like connected marble kitchen island and wooden dinning table. Modern bathroom also offers two small indoor gardens located left and right from the bathtub. 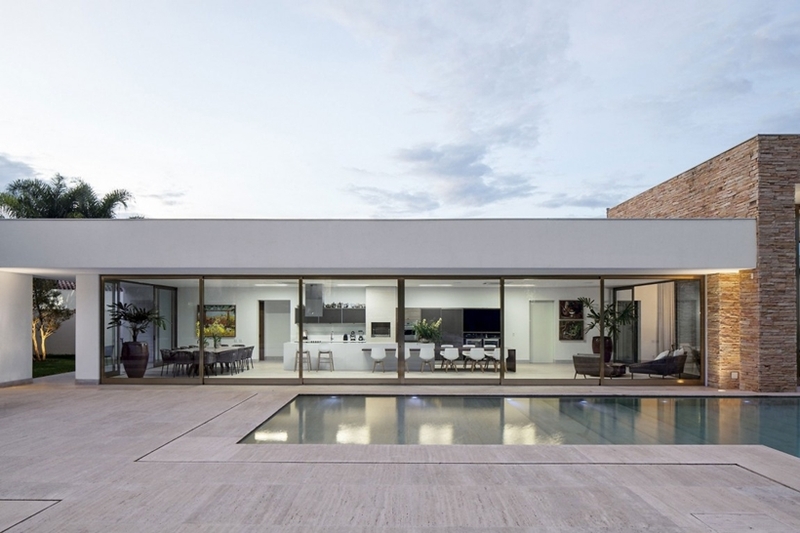 How do you like this simple modern house?